Do you have a Blocked Drain in Brunswick? Draining systems ensure we have a healthy and clean environment for residency and work. However, since the systems are out of sight and work well most of the time, people tend to ignore them. Property owners rarely pay attention to a Blocked Drain in Brunswick after they are damaged and forget that this attitude can lead to many problems including health and safety hazards. To avoid such problems, everyone who owns a property in Brunswick should have some basic knowledge of the causes a blocked drain or pipes just in case the inevitable happens. Call 1300 668 834 for same day service. A blocked drain in Brunswick whether its commercial or domestic can suffer from similar blockage problems at some stage. The most common causes of the blocked drain included large foreign objects since they are not designed to handle. These foreign objects find their way through cracks, holes and joints in the pipes and as they build up, they reduce the effectiveness of the drain and eventually lead to a blocked drain in Brunswick. When the drain blocks, water cannot pass through the drain and fills it up which can lead to flooding, damage to your property’s structure and wiring and in many cases, affect your electrical appliances and connections. 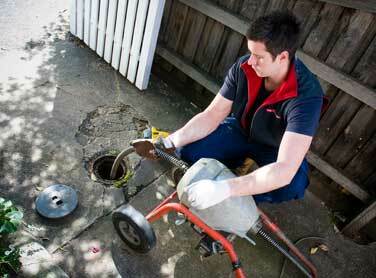 If you have blocked drain in Brunswick call 1300 668 834 any time of the day or night. A blocked drain is caused by many different things and you should call local plumber in Brunswick if you spot any of the following signs. An obvious overflow of water when you look outside. When dealing with a blocked drain that needs clearing and cleaning, its best to engage a Brunswick plumber. It may seem like a simple and cheaper option to try and use your domestic high-pressure jet or a length of piping to clear your drain. However, without the right knowledge of what is causing the blockage or flooding, it would be safer and cheaper for a plumber to clean your blocked drain in Brunswick. It’s always better to hire an expert in blocked drains in Brunswick who has years of experience and is qualified. Today there are advanced blocked drain in Brunswick cleaning options including the use of CCTV cameras where a long and flexible cable with a camera is fitted at the end of the drain. When pushed further, the camera sends back images to a monitor to help the expert assess the condition of the drain and detect the blockage. After the assessment, you will be given a comprehensive report of the blockage and recommend treatment based on the severity of the blockage. 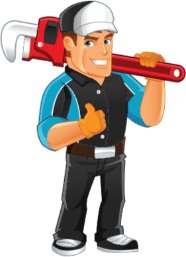 If you have an issue with a blocked drain or hot water system in Brunswick, then you need Inner City Plumbing or an emergency plumber Brunswick to service you. We can also fix gas leaks, blocked toilets and plumbing emergencies in Brunswick. It’s vital that you have a plumber in Brunswick that you can trust and rely on. Call 1300 668 834 for rapid response. Sorry for the delay, but I just wanted to let you know how happy we were with the service provided to my elderly mother on Wednesday 26th May 2017 (I think it was that date) at 1 Tide Street, Elwood. We had this lovely young man by the name of Steven. Sorry no other details do I have of him. But he was courteous, explained everything, gave us the full quote and also told us other ways to handle the situation. As my mother is elderly she chose the alternative which was to have him out once a year or every time if & when it clogs up as the house is more than likely going to be bulldozed by some developer once she passes away so she thought it was a waste of money to put new pipes in all the way. So I just wanted to let you know what a lovely charming and knowledgeable person ‘Steven’ is. Thanking you for the quick response to my mother’s plumbing drama. Thank you for your prompt response to my request to attend at my mother’s to service and repair her gas heaters. My mother is 91 years old still living at home. I want to compliment one of your employees, the plumber who attended at my mother’s house. 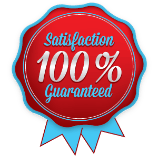 My mother reported that he was very pleasant and repaired and serviced the heaters in what appeared to be a very efficient manner. I would recommend your company to anyone requiring plumbing services. Fantastic, can’t believe how quick you came out. The Plumber got the job sorted and had the part with him. Both times you’ve come out the plumber has been really friendly. You are the only number we have on our fridge now. Fabulous. Plumber arrived within 20 minutes and did the job. Service was great! Excellent. I will never go back to any other plumber again! Service was wonderful. Even my children commented on how the plumber was on time. Thanks heaps!